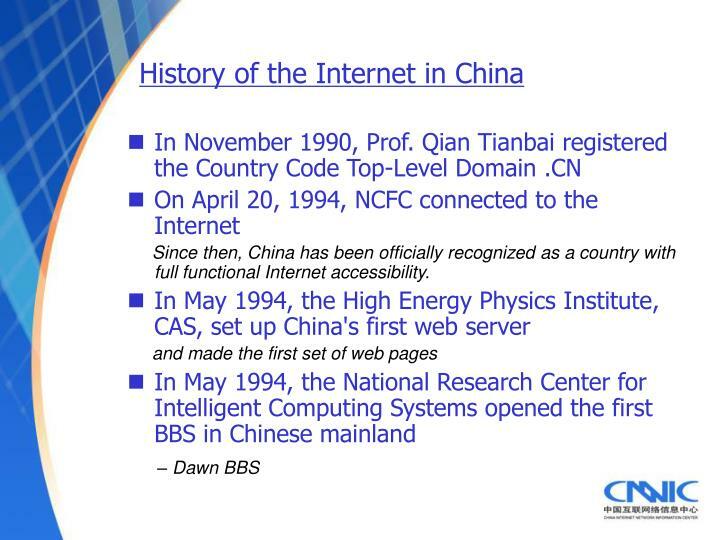 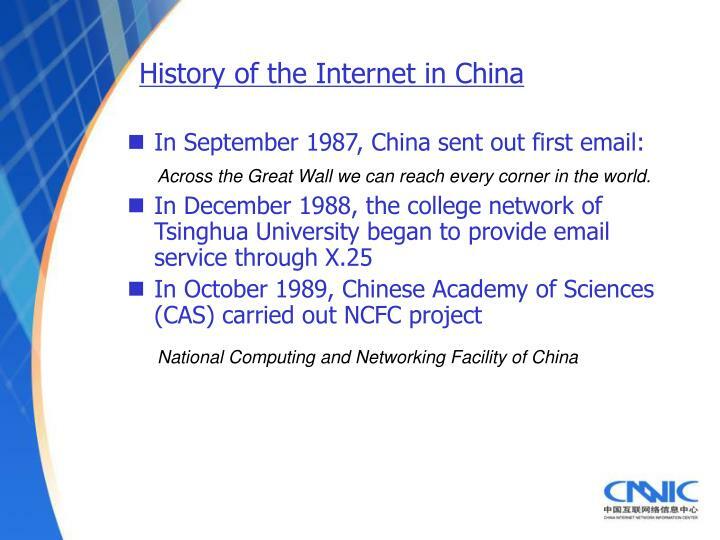 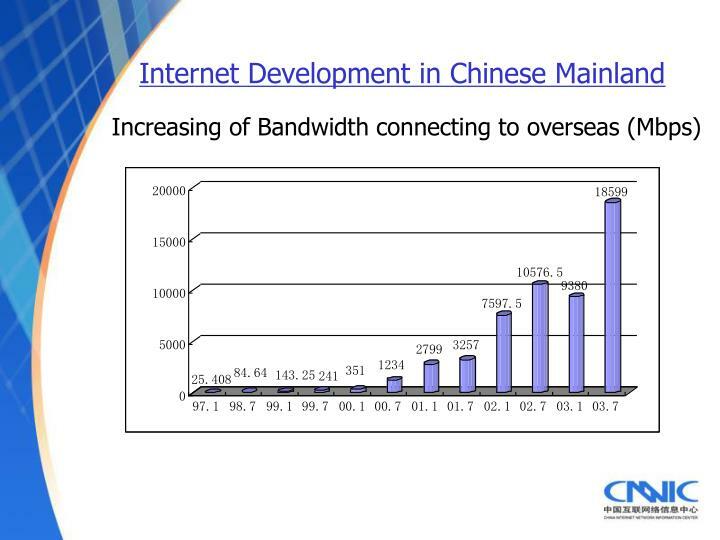 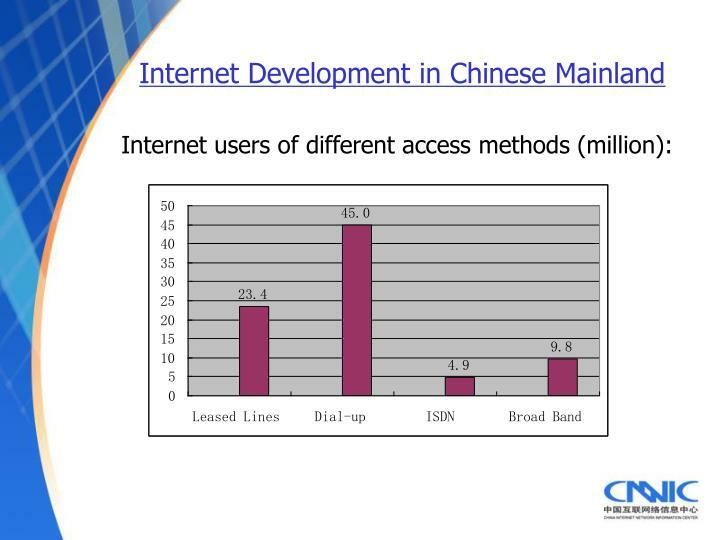 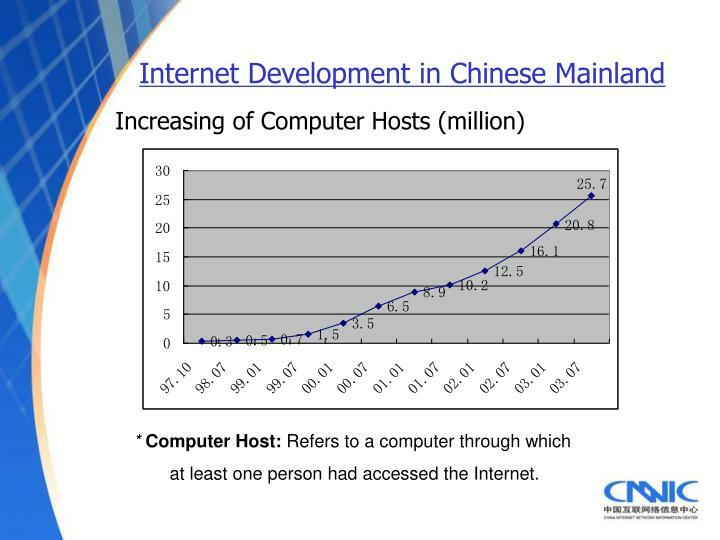 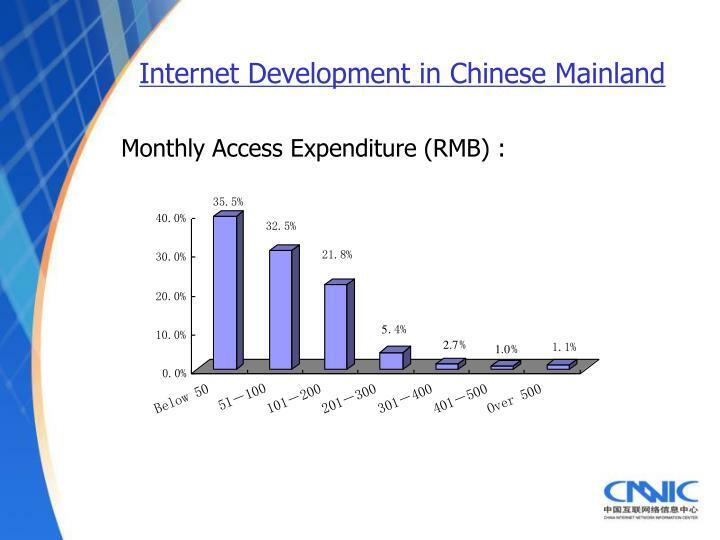 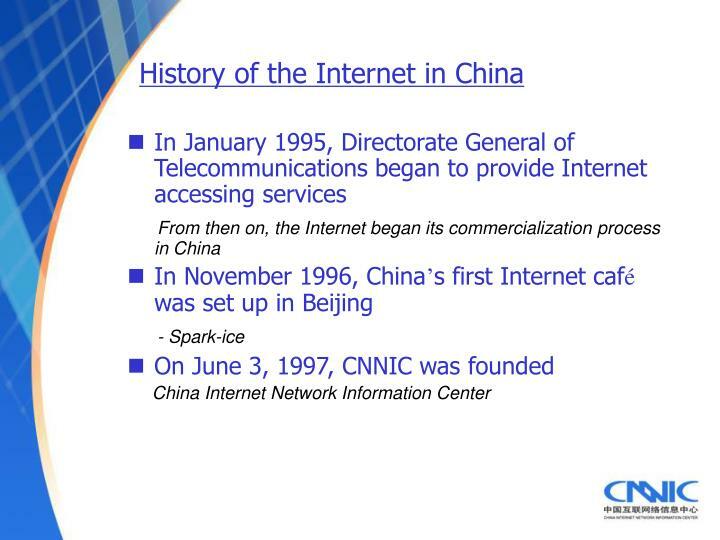 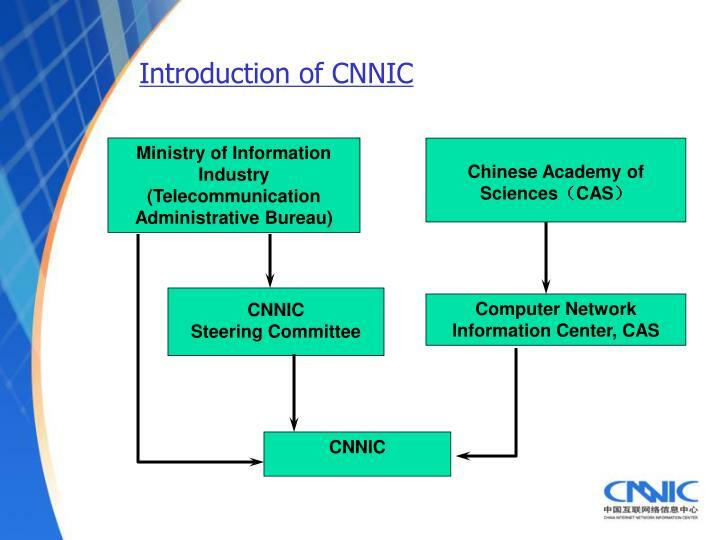 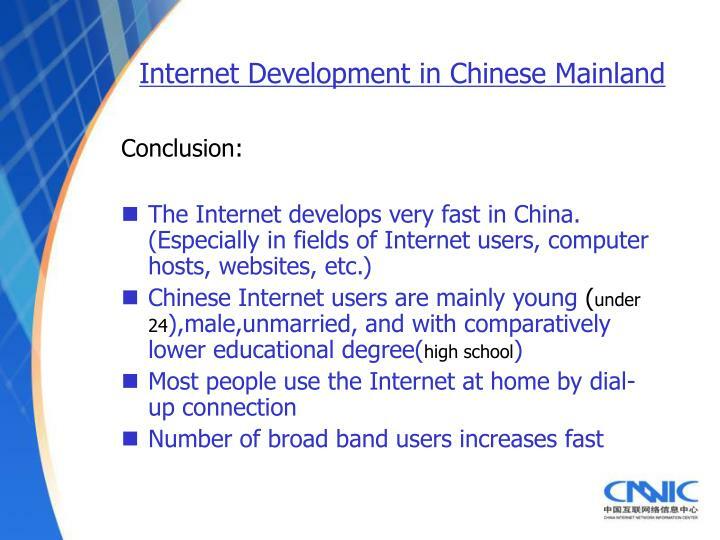 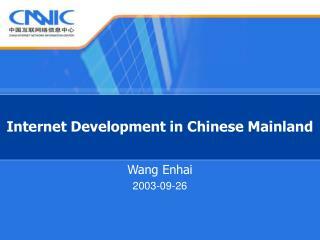 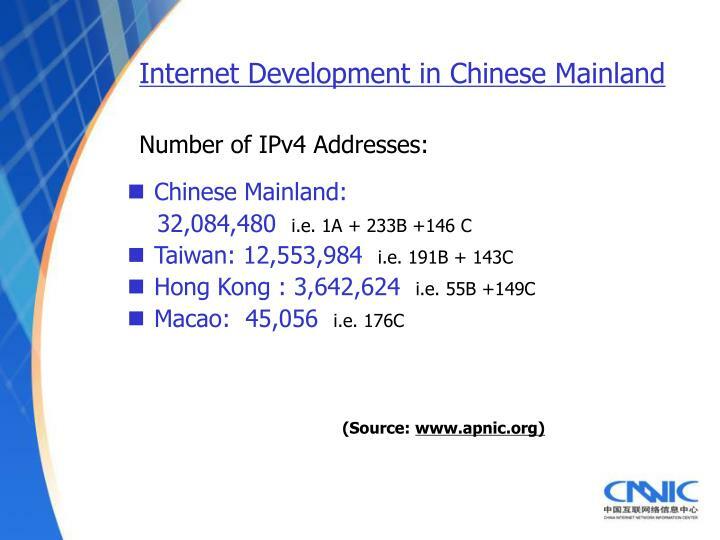 Since then, China has been officially recognized as a country with full functional Internet accessibility. 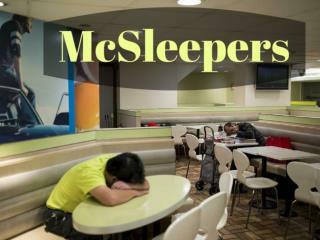 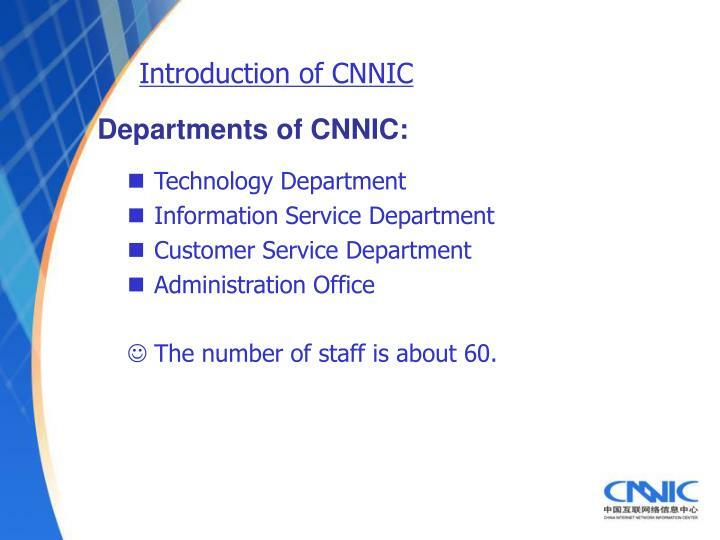 The number of staff is about 60. 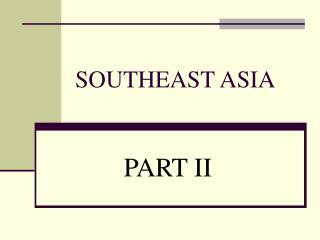 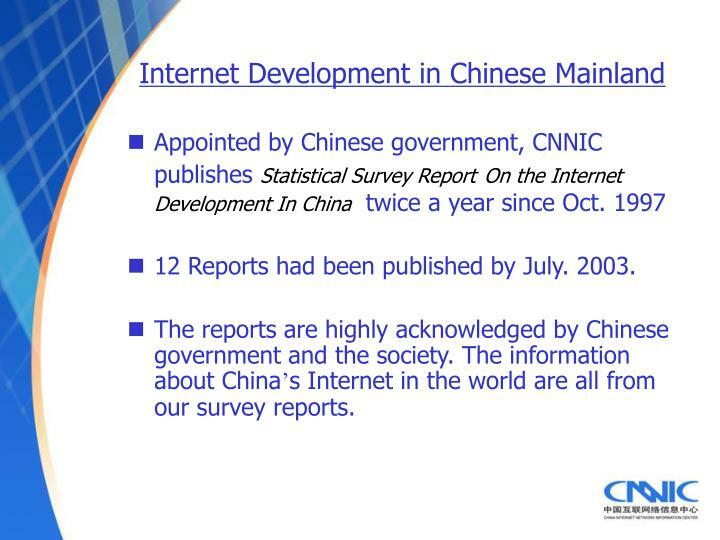 12 Reports had been published by July. 2003. 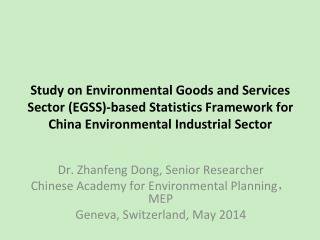 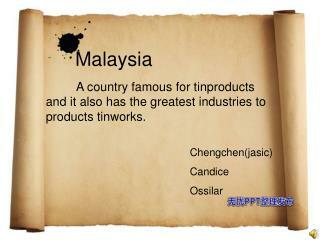 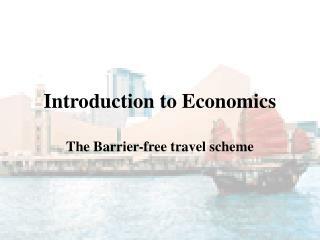 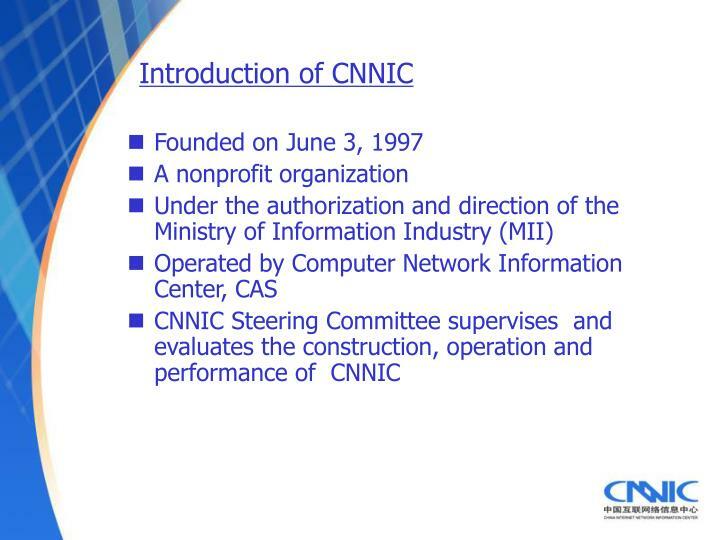 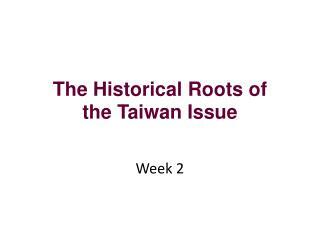 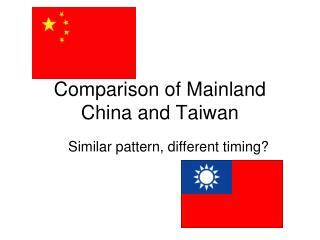 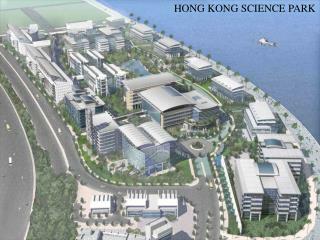 The reports are highly acknowledged by Chinese government and the society. 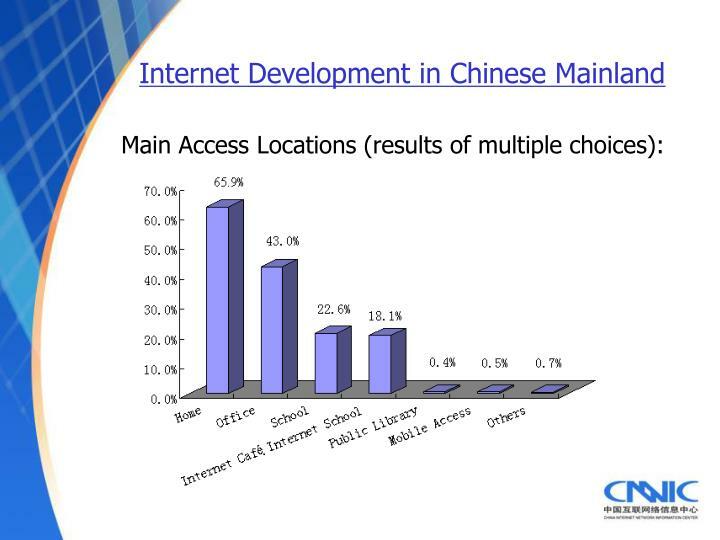 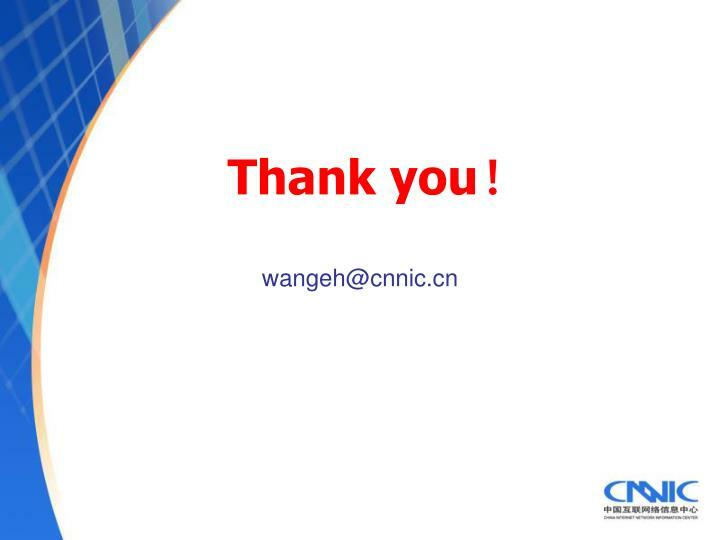 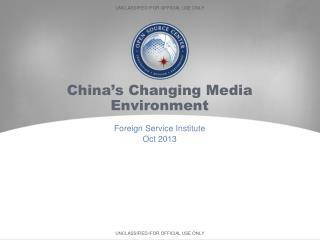 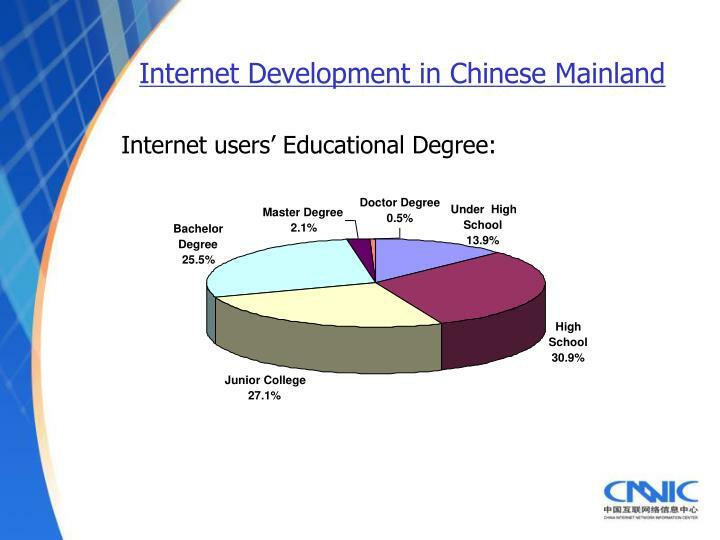 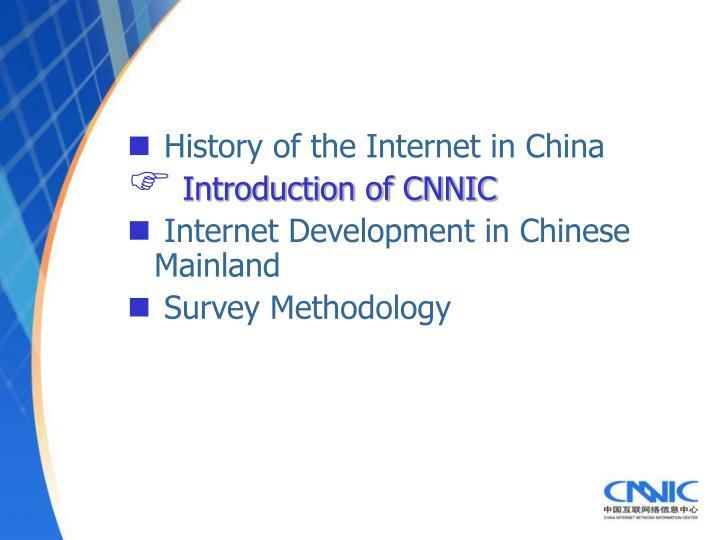 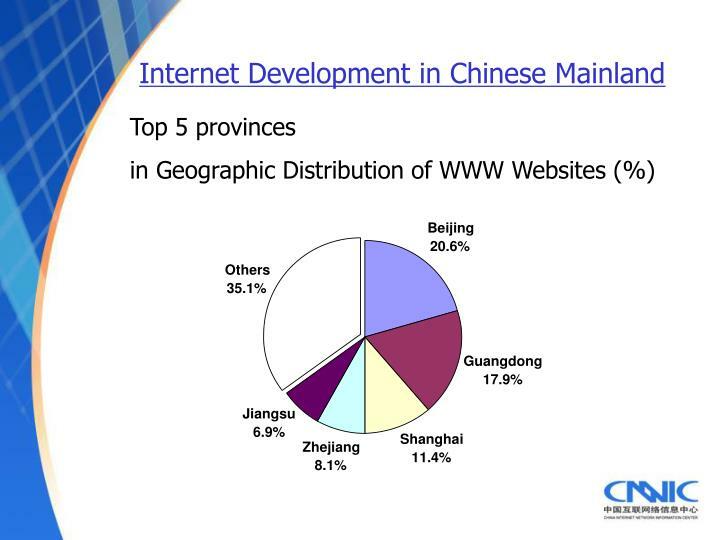 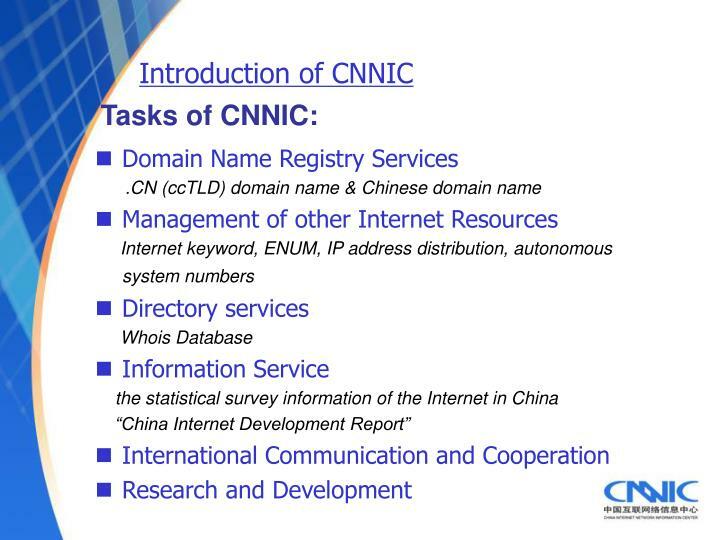 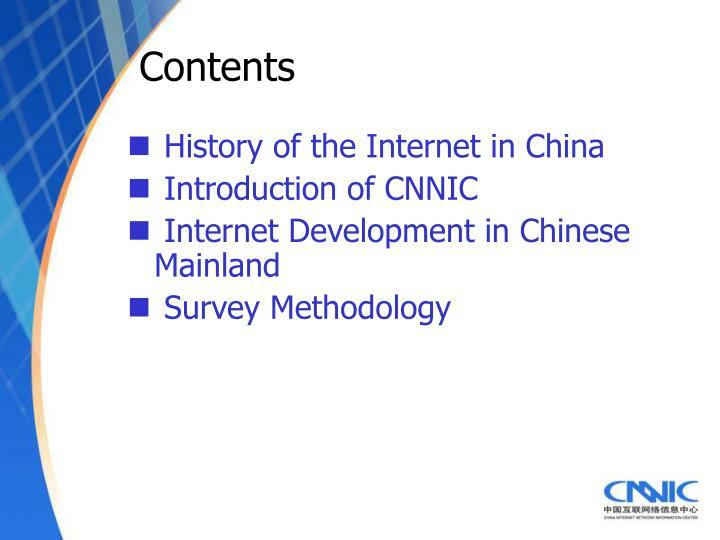 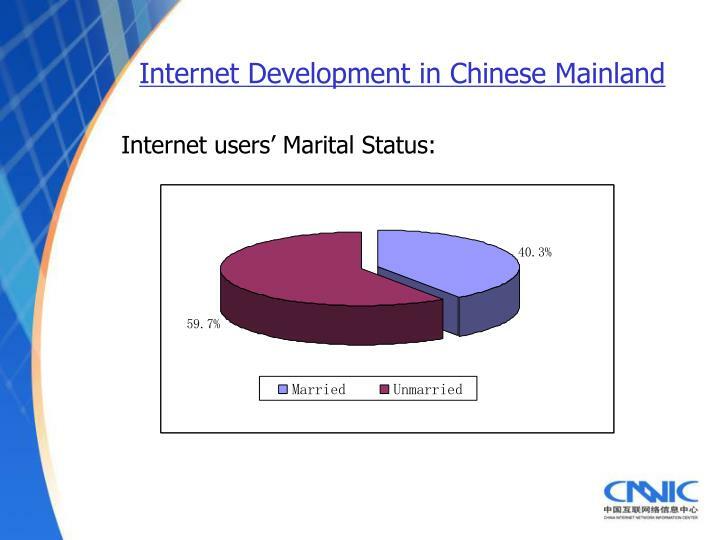 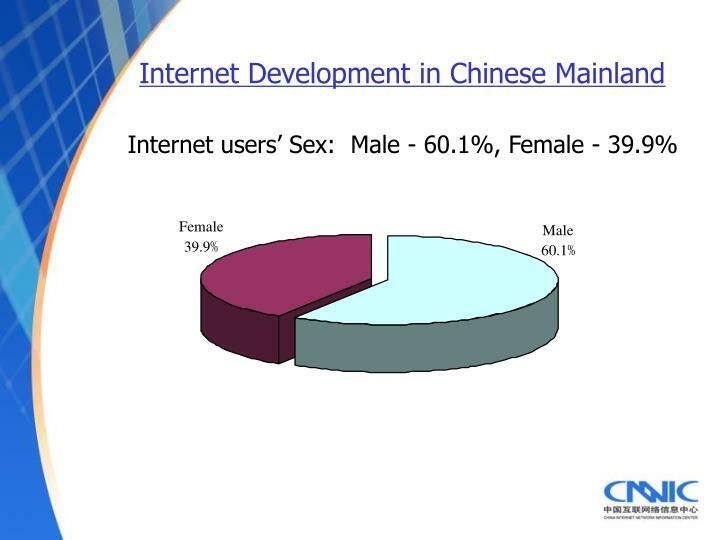 The information about China’s Internet in the world are all from our survey reports. 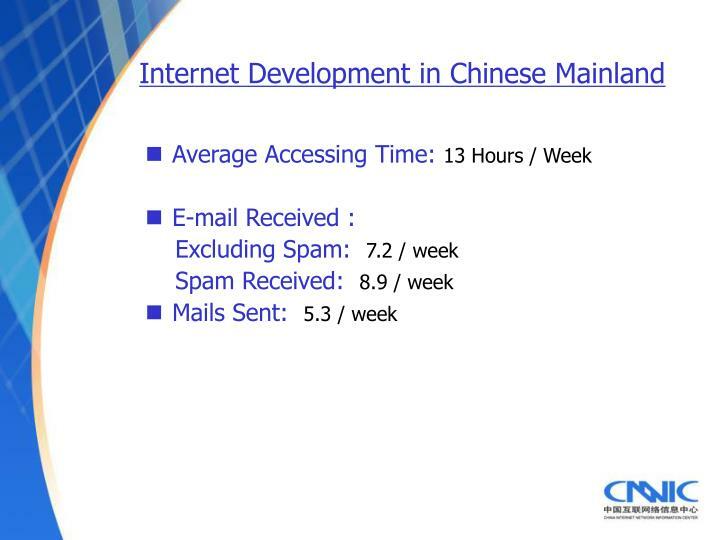 who use the Internet at least one hour a week. 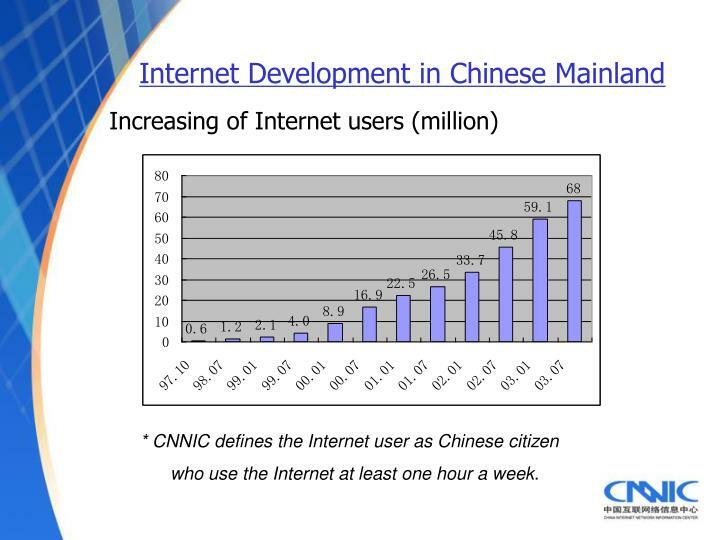 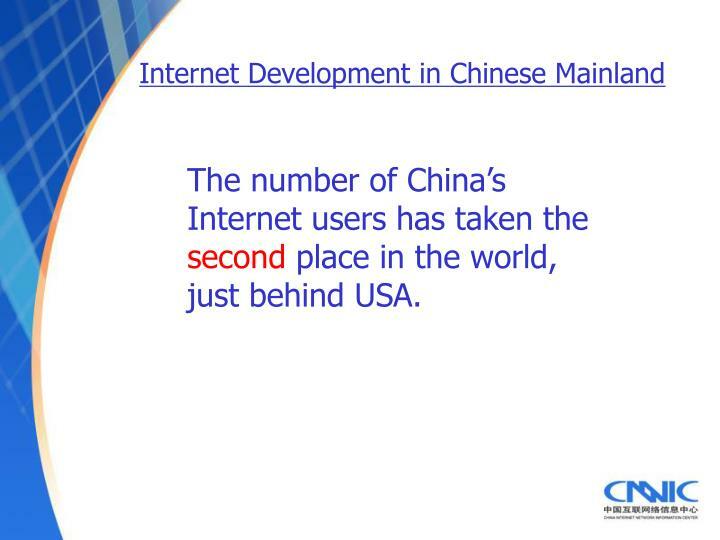 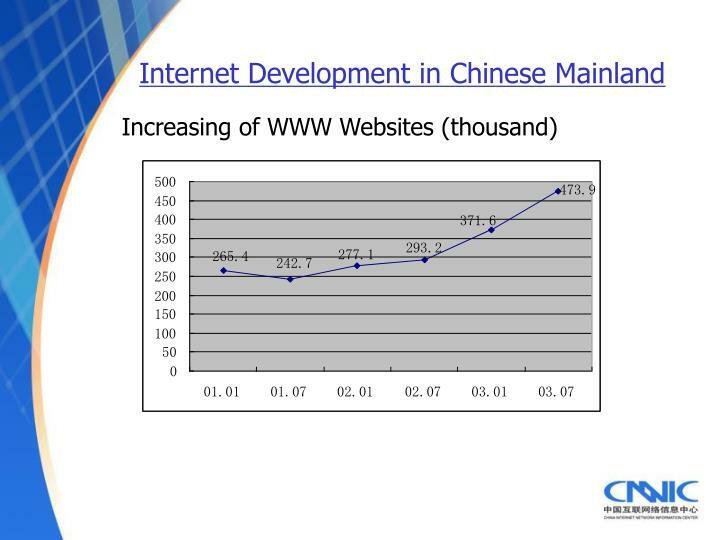 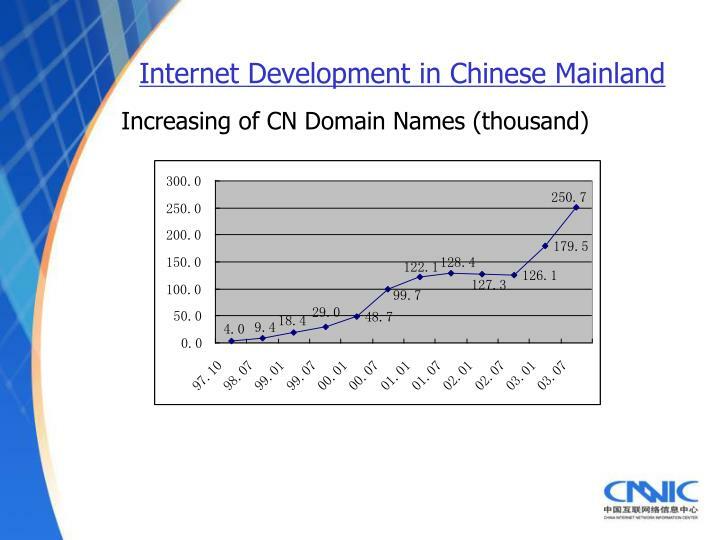 The number of China’s Internet users has taken the second place in the world, just behind USA. 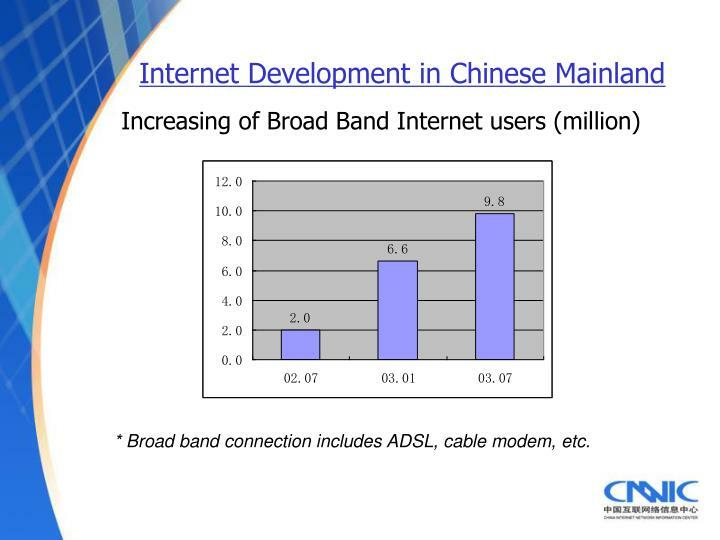 * Broad band connection includes ADSL, cable modem, etc. 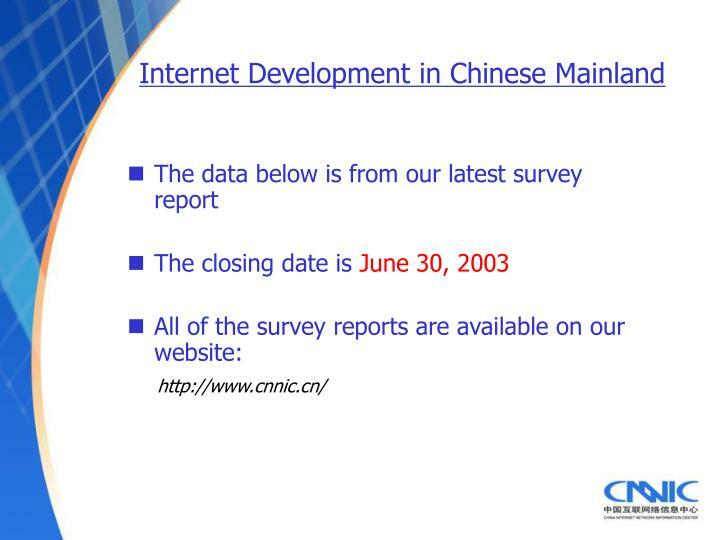 at least one person had accessed the Internet. 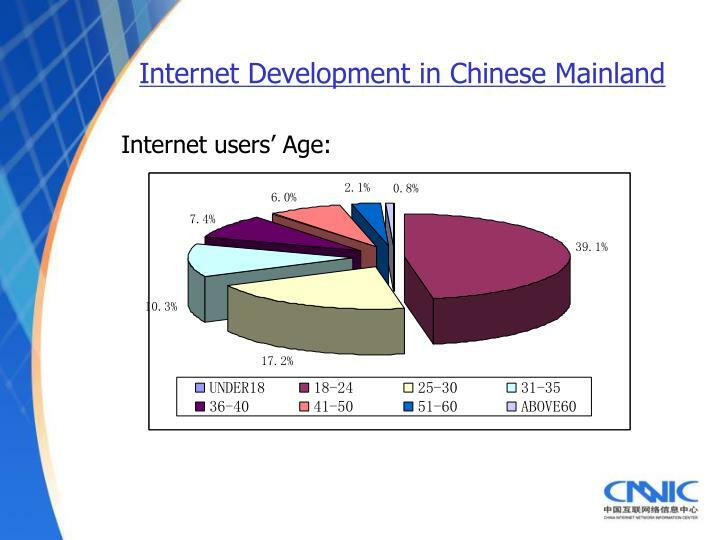 What do users do with the Internet? 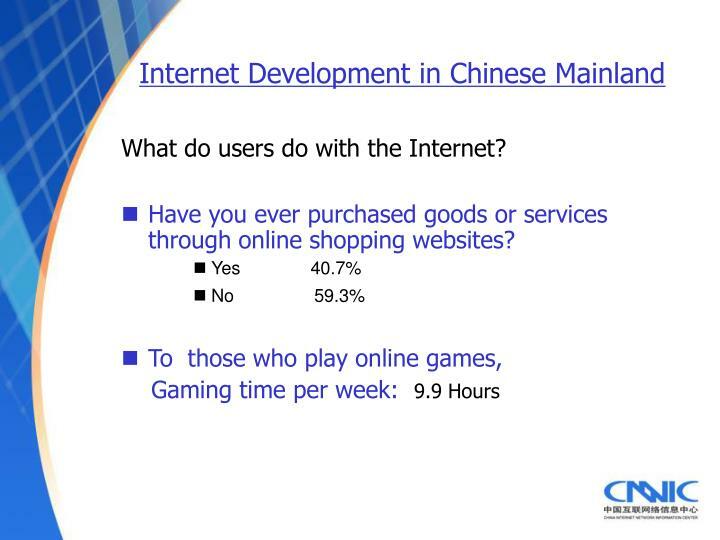 Have you ever purchased goods or services through online shopping websites? 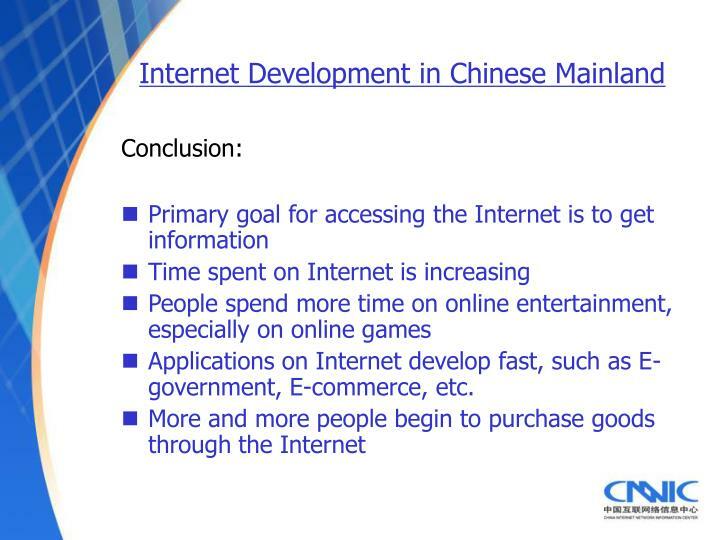 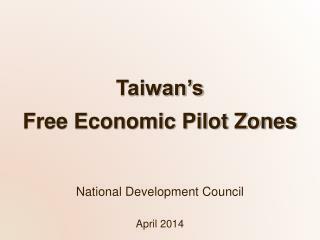 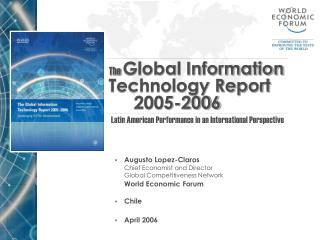 Applications on Internet develop fast, such as E-government, E-commerce, etc. 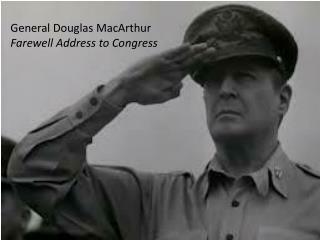 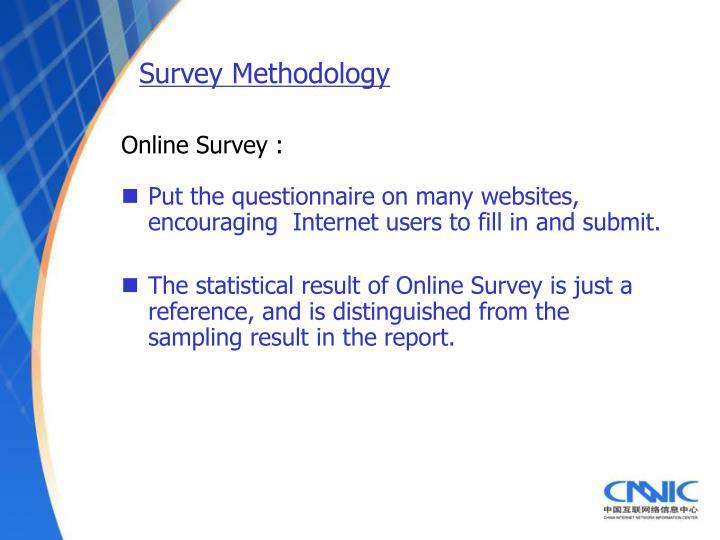 Put the questionnaire on many websites, encouraging Internet users to fill in and submit. 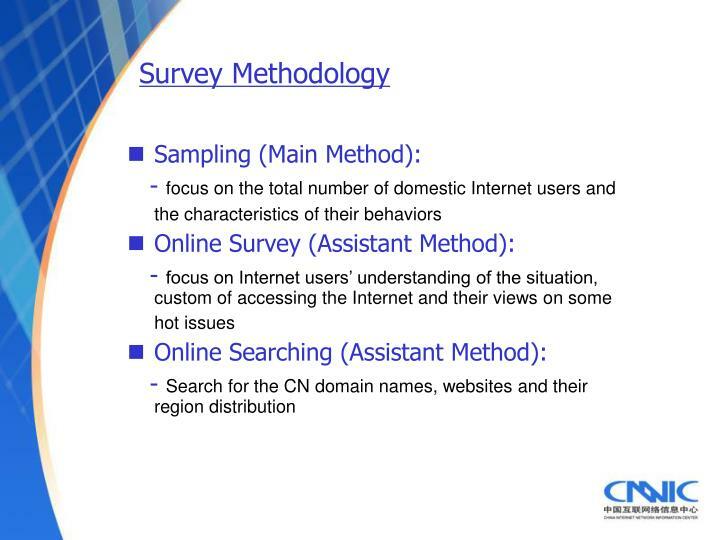 The statistical result of Online Survey is just a reference, and is distinguished from the sampling result in the report. 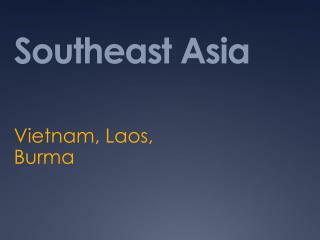 - In order to ensure the precision of the statistics, we chose 4,800 samples in the whole country. 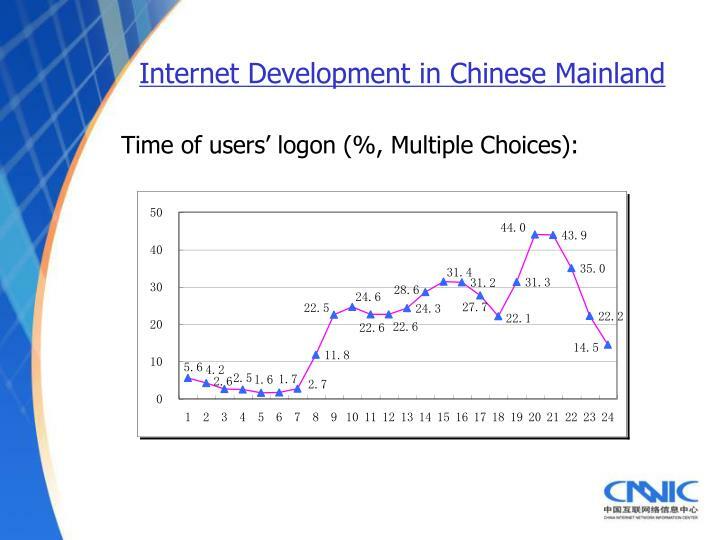 1 Distribute the total samples into 31 provinces (only on Chinese mainland), according to the percentage of people who have family telephone. 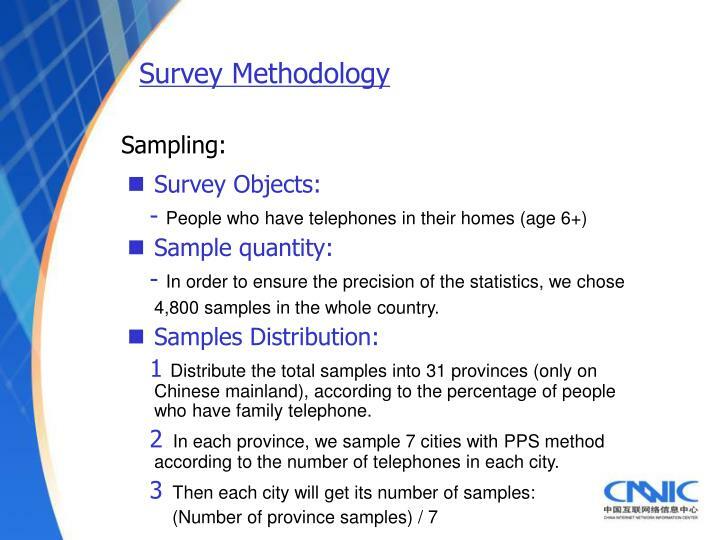 2 In each province, we sample 7 cities with PPS method according to the number of telephones in each city. 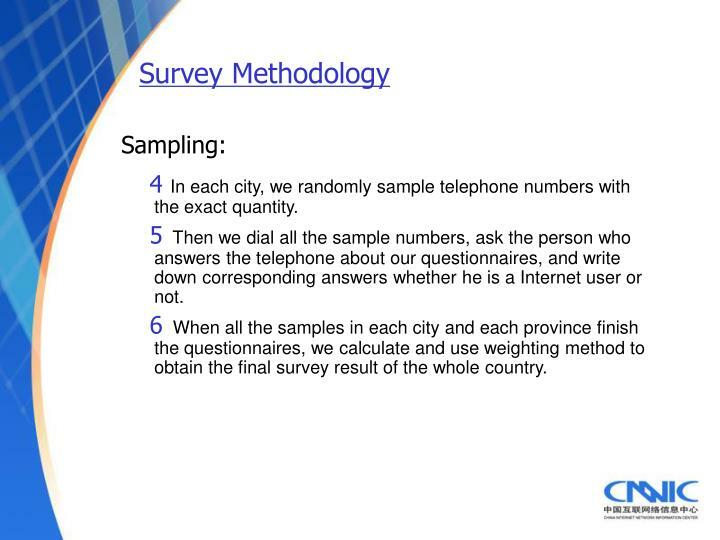 4 In each city, we randomly sample telephone numbers with the exact quantity. 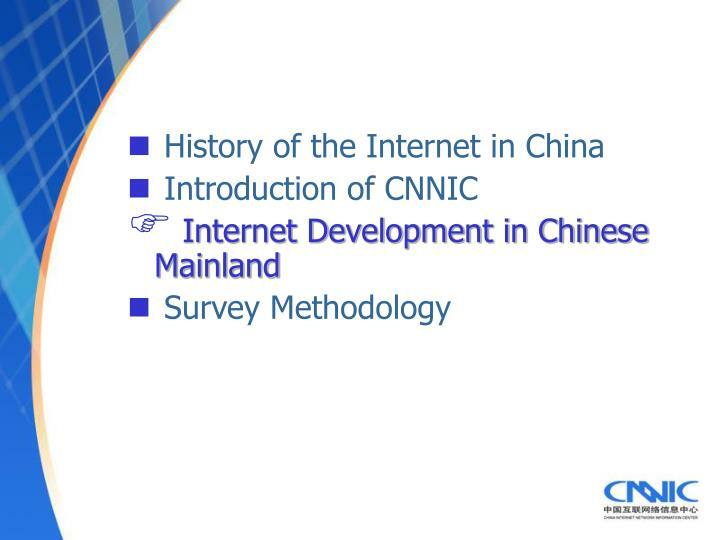 5 Then we dial all the sample numbers, ask the person who answers the telephone about our questionnaires, and write down corresponding answers whether he is a Internet user or not. 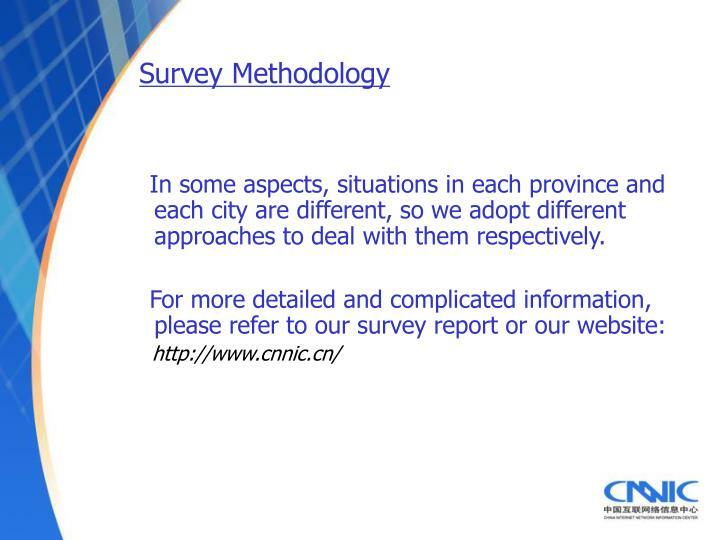 6 When all the samples in each city and each province finish the questionnaires, we calculate and use weighting method to obtain the final survey result of the whole country. 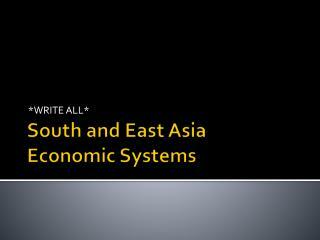 In some aspects, situations in each province and each city are different, so we adopt different approaches to deal with them respectively.